This year I did something I never thought I would, I joined the gym. As well as using the gym and pool facilities, I can attend as many yoga and pilates classes as I like. As a full-time illustrator repetitive strain injury is as real worry and yoga has been a bit of a life saver. It’s really helped with tense shoulders and achey wrists, and it’s also kept me surprisingly zen about tight deadlines and busy schedules. As an illustrator I couldn’t recommend yoga enough. I’ve added this illustration as a print to my etsy shop, in case you need a little bit of yoga inspiration at home. This entry was posted in Illustration and tagged gouache, health, illustration, lifestyle, painting, wellbeing, yoga. Bookmark the permalink. I hope that you are well. 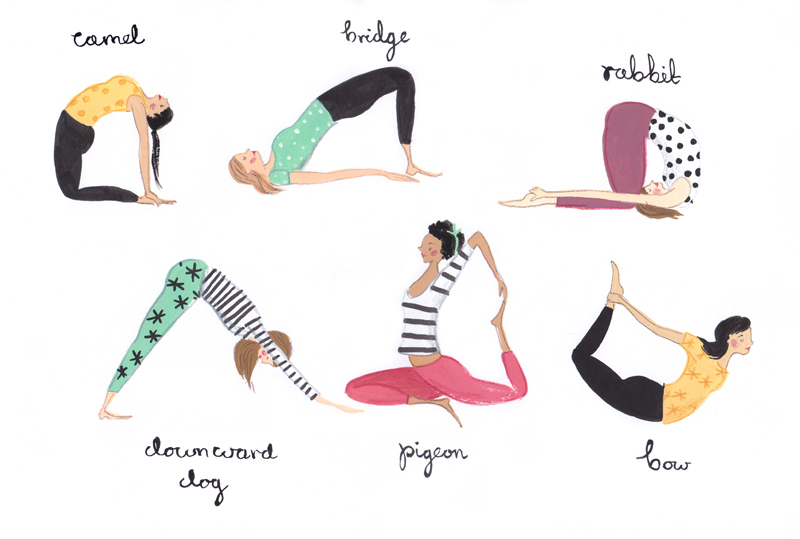 As a yoga lover I really like this illustration! Would it be alright for me to write a little something about it and show your illustration on my blog?